Brand: Nordicware NW-50001 Units: 1 set / 2 pcs. total Here's an easy and pretty way to showcase your bundt cake. Made of heavy-walled, clear acrylic with a locking base for easy storage. Keeper will hold up to a 10" diameter and 5" tall cake. Here's an easy and pretty way to showcase your bundt cake. 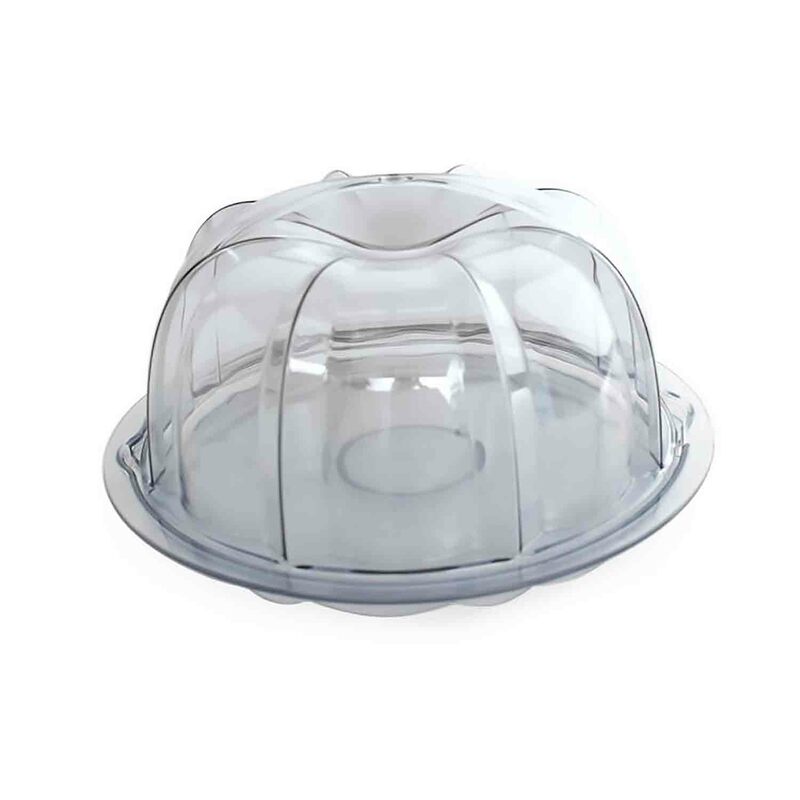 Made of heavy-walled, clear acrylic with a locking base for easy storage. Keeper will hold up to a 10" diameter and 5" tall cake.